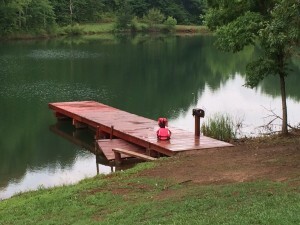 Hidden Lake Campground & Resort has tent ready campsites that are convenient to the bathhouse and some that require a little more of an adventure to get to. Drive your truck, ride your ATV, or hike up to a more secluded spot to get away from it all while staying close to our many activities. A few of these spots even border national forest but you can only get to them by hiking or riding an ATV. If you need all the comforts of home we have RV sites with water and electric. We also have a sewage dump station on site that is easy to access upon exiting our campground. 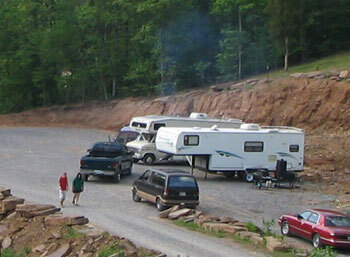 We have ample room to fit any size RV or Camper. Come visit Hidden Lake, it’s a beautiful view!!! Call: (423) 295-2161 for availability.